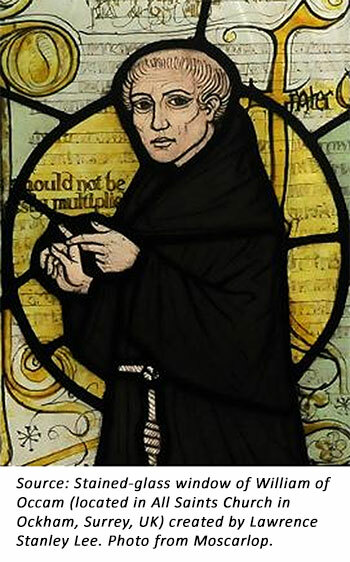 What does 14th-century monk and philosopher William of Occam (also known as “William of Ockham” and “William Ockham”) offer active investment management today? According to a number of highly experienced technical analysts, his concepts should be central to the development of investment strategies. William of Occam’s most visible claim to modern-day fame was his espousal of Occam’s (also spelled “Ockham’s”) razor—the principle of simplicity. Favoring the formulation “it is useless to do with more what can be done with less,” Occam implied that theories are meant to explain and predict, and these things can be accomplished more effectively with fewer assumptions. In his classic exposition of theoretical physics, “A Brief History of Time,” Stephen Hawking attributes the discovery of quantum mechanics to Occam’s razor. “Complicated systems have a great tendency to fail and fail badly. Occam’s Razor is a good example. He stated hundreds of years ago that if given two systems, the simpler one is probably the better one. I strongly believe that,” says Greg Morris in the fourth edition of “Trading in a Nutshell.” Morris is the author of “Investing with the Trend” and has been an active investment manager for more than 30 years. (Morris oversaw the management of more than $7 billion in assets prior to his retirement.) His advice to investment strategy developers is to use an approach or methodology that they firmly believe in and ensure it is not overly complicated. William of Occam was one of the leading philosophers of his day and is considered by many researchers as a major force of change at the end of the Middle Ages. Born in the 1280s, presumably in the small town of Ockham, southwest of London, England, William wrote extensively on a number of issues, including advancing the notion of rights, separation of church and state, and freedom of speech. His papers continue to provide insight into current philosophical debates. He was by no means the first to advocate simplicity over complexity in seeking answers to questions, but his writings and applications gave the concept enduring reality. Occam advocated the principle of simplicity as a form of risk management. Every hypothesis carries the possibility that it may be wrong. The more hypotheses one accepts, the greater the risk that a hypothesis is incorrect or is limited in its application. In 2012, Montgomery returned to full-time investment management as director of research and portfolio manager at Scotia Partners LLC. Theta Research continues its mission of documenting actual track records of active investment strategies based on actual trading information verified from third-party sources, and providing that information to institutions and individual investors who are looking for tactical money managers to help meet their investment objectives. 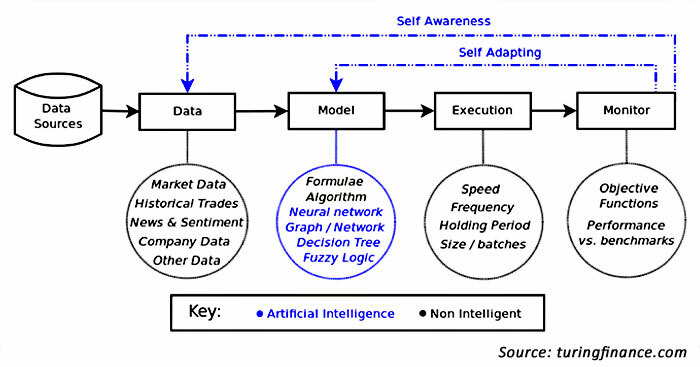 The profusion of data available to today’s investors, analysts, and portfolio managers can be seductive, leading the model developer to “overindulge.” Quantitative investment strategies are typically developed by looking backward at past market data to identify patterns that appear to lead to specific market performance. The more complex the model, the better it may perform in backtests. Over-optimization, however, has drawbacks when it comes to applying the model to real-time management. Sometimes, the system is too narrowly defined and works only in specific market conditions. Modify market conditions and the system fails. Patterns identified in the backtest may be just noise, not definitive signals. And professional strategists are well aware of the many pitfalls that can arise with anything less than the most stringent backtesting—sample bias, confirmation bias, time-frame inconsistencies, changes in market structure and trading vehicles (“survivorship bias”), and many others. But it is fascinating that, as William of Occam maintained 700 years ago, simplicity has its place as a risk-management tool. Active investment systems are based on hypotheses that specific indicators will identify the up and down movements of the market, specific sectors, and asset classes, or the continuation of a trend. The more hypotheses the investment model encompasses, the greater the risk that a hypothesis is incorrect, limited in its application, or conflicting with or duplicating other hypotheses. The underlying principles of Occam’s razor need to be applied judiciously to manage against the risk of system failure.